I made it and it seriously only took like, half an hour. Soooo easy, people! Now for Seven Questions (this time I decided to do Him&Her) with Gentri! 1. It's the first day of August- Are you savoring the Summer or ready to jump into Fall? Her: I'm loving the summer - I don't care if it is miserably hot, I love the sunshine! Him: (looks at me for a solid 15 seconds with a totally serious, somewhat mocking face) I'm ready to make beautiful snow angels and snowmen. 2. You need a quick and healthy meal, what do you make? Her: ... ... ... uhhh... Taco bell? Jk, jk. Quesadillas!! Wait, are those healthy? Him: Oooh (shakes head, talks to the tv... ignores my question). Totino's pizza rolls. Those and deep-fried butter. 3. You're at the mall, how do you shop? Her: I hate shopping. I don't try anything on, and try to get in and out as fast as possible. Him: I don't understand the question. Wait, no, no! Better yet, not applicable. 4. Would you rather buy a new house or renovate an old one? Her: Renovate an old one. Wait... why did we just buy a house? Okay, it's like, 50 years old, and we're doing some work, but when I think old, I think like, turn of the [20th] century home. Him: Renovate an old one. Wait! How bout build a new house? I think Mike would like to build something like this. 5. Long hair or short hair? Her: Long. Short on a guy... but I like my hair to be long. Him: Short. Oh, wait. For a woman? Or for me? For a woman, long. 6. Who is your oldest (not by age) friend? Her: Uh... probably Candace P. I need to call her. Him: (Snorts) I don't have any friends.... (pouts) You. This is sad. I don't wanna talk about it, can we talk about something else? 7. What is your favorite blog- currently? Her: Ummmm... I can't pick. Don't make me pick. Him: (sighs) Ummmmm... Probably tech magazine. JK (smiles like a creep). Yours. Lol omg what CAN'T you do?? Love that dress (!!!!!) & love these his &hers questions!! Holy crap you made that!!! That is amazing! Ha! I love your questions and answers. Great job on the dress! This is the most gorgeous looking dress and I would like to make one myself!! well done with the dress, I love the color + shape!!! Nice job on the dress! I love the colour on you! Awwwwwww, my hubby is at work so I couldn't do this too! Why didn't I think of that!!! This is beautiful! And I love the way it looks on you! You did an awesome job!! The dress looks fabulous and I love the color. Can we buy your collection somewhere? Love the dress! I am totally giggling over this post hehe. Love both your answers. P.S. I want that house. WOW! You made that dress?! Looks Great! No.WAY. You made this!!? It is FABULOUS! That dress looks FAB on you! :) and god I love this segment, your man sounds hiiiilarious. You made that dress? AMAZING! I am going to try and make it. and I love the his and hers. I am going to trick my husband into doing this. Because he would never do it purposely - he stinks! I made a short dress using that same tutorial this weekend. I made it a little harder on myself than I needed to. And didn't pick the best fabric so it'll be more of tunic unless I can find a slip to wear under it. I love the color you chose and it looks oh so comfy compared to mine. Also, you two are too funny. You guys are too cute. Oh and quesadillas and Taco Bell are healthy in my book! You look stunning! LOVE that color!!! That dress is so cute! 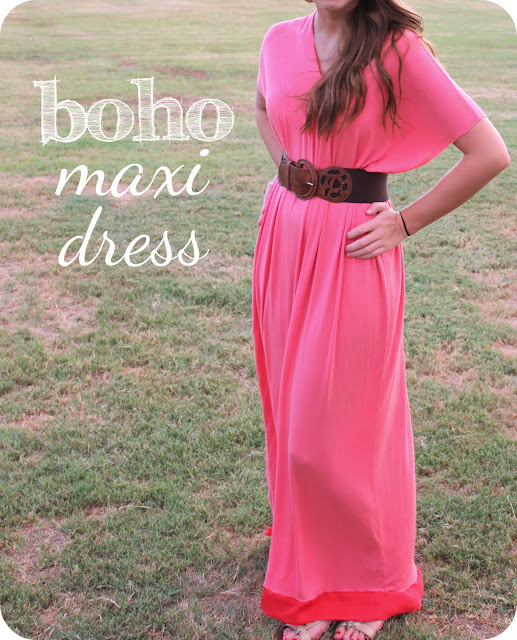 I just don't think I'm a maxi/boho dress kind of girl but it looks great on you! I need to make one of those dresses! It looks so comfy! Love you guyses His&Hers questions and answers. They're so funny! Love the answers to these questions...especially the his ones! Also adore the color and style of that dress. So pretty! Popping over from the Pleated Poppy. 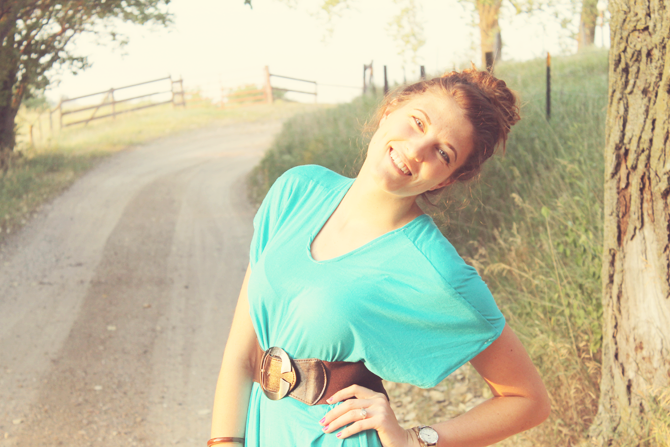 Love these post pretty girl!!!! hahahaha! YES! 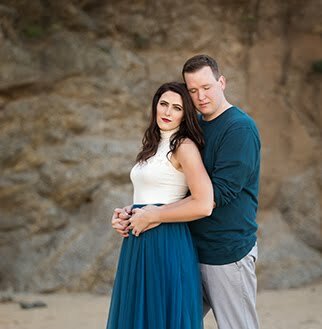 I love when bloggers involve their significant others in the 7Qs! Too funny! and seriously, stop it with all of that amazing maxi-ness. BEAUTIFUL dress!!!! Where are you getting the fabric for all these fun sewing projects??? Ummmmm WOWWW!!!! An hour? It would take me a year. You look great!! Alyx you look so gorgeous and you did a great job of sewing that dress. I may have to copy you because it might work with my belly haha just opened the tutorial and I'm going to check it out (; Thanks for sharing! Love that dress! And how easy to make! The his and her questions? Brilliant! Alyx, check you, Curtains, clothes!! Crafttttttty ;) hehe, seriously though! AWESOME dress! aw that was so cute, i love that you had him do it with you!! loved the last answer haha. and that dress ahhh im going to look at theat tutorial right now, it is SO darling i want one now haha, ive been wanting a maxi dress!! and i love how you added the different color strip on the bottom of the pink one, really cute!